Home » Cute to the nth » Soon. 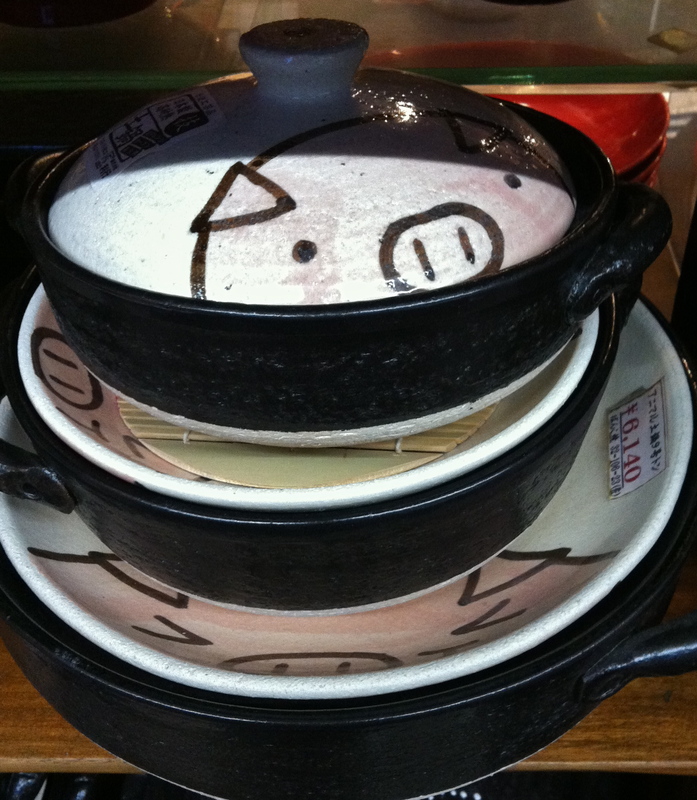 That cute little piggy lurking on the lid might make me think twice about using this nabé pot to whip up a big cauldron of pork intestine soup and switch to a nice stew made with cow stomachs instead. 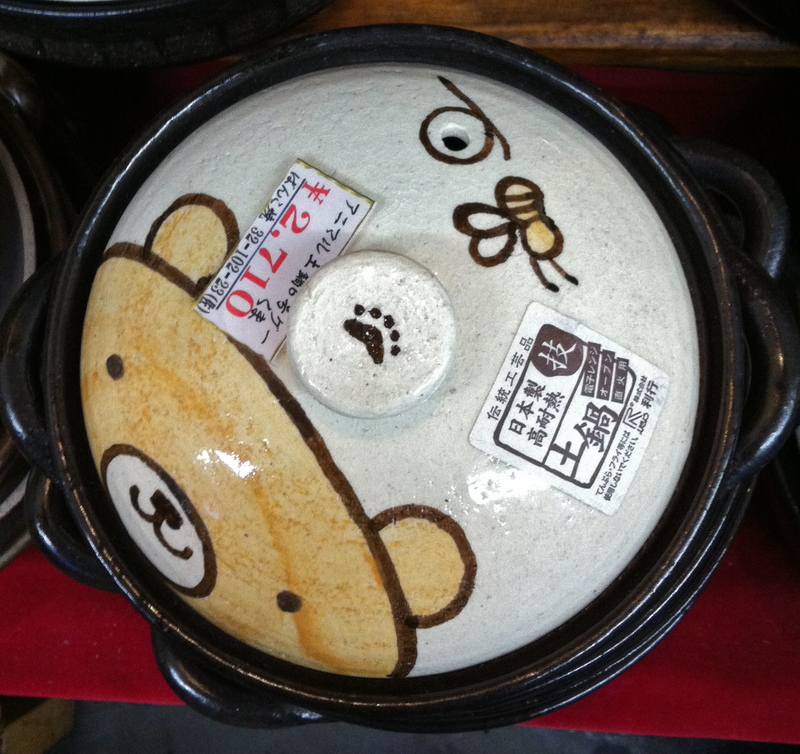 Fortunately, Japanese cuisine never features cats or bears, so these Nabé Pots Of Unbearable Cuteness would be safe for all dinner plans. 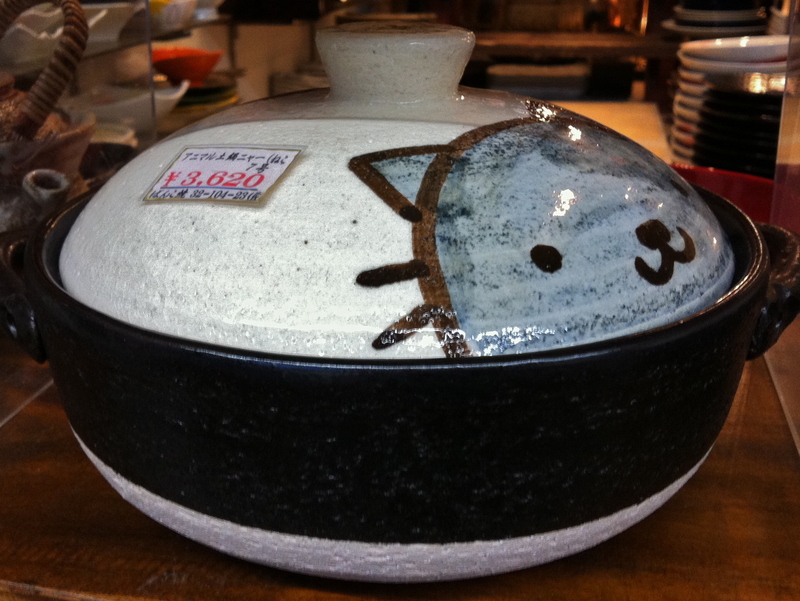 Because nabé pots are made of a special kind of clay, they don’t crack if you put them on a direct flame, so they can be used to make all kinds of cook-at-the-table dishes like sukiyaki, shabu-shabu, and winter hotpots. If you’d like to visit the Kappabashi kitchenware district, home to obscure cooking implements, industrial-sized bales of chopsticks, and stores that sell the super-realistic plastic food models you see outside restaurants, a map is on my website, The Tokyo Guide I Wish I’d Had.